On Ubuntu 10.10(Maverick Meerkat) MySQL(server/client) Database Management System is recommended because it’s free,open source,fast and easy to install.MySQL is one of the most widely used DBMS specifically for web development.PHP+MySQL is a De Facto standard for creating dynamic websites.The most widely preferred cms(Content Management System) i.e wordpress(This blog is also running on wordpress) also uses PHP+MySQL to generate dynamic pages. #1. 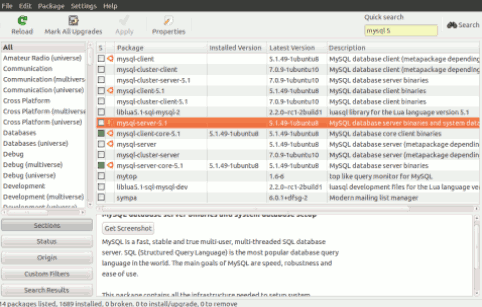 Open Synaptic Package Manager and search for ‘mysql’ or ‘mysql 5’ and select the packages(client and server) you need. #2. 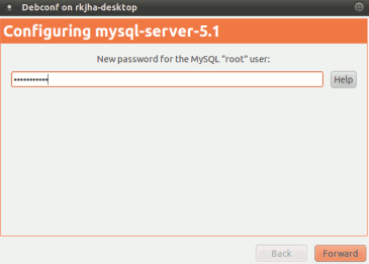 Then click on Apply button to begin the installation procedure.In the middle of the installation you will be prompted for MySQL root password,set strong password for MySQL server.You will need this password for logging to your MySQL server account,with administrative power. That’s All…I hope,Now you are enjoying MySQL..don’t forget to comment specially in case of any problems related to MySQL and Ubuntu 10.10.
so what should i do to remove this error? It is so simple.. when you know.